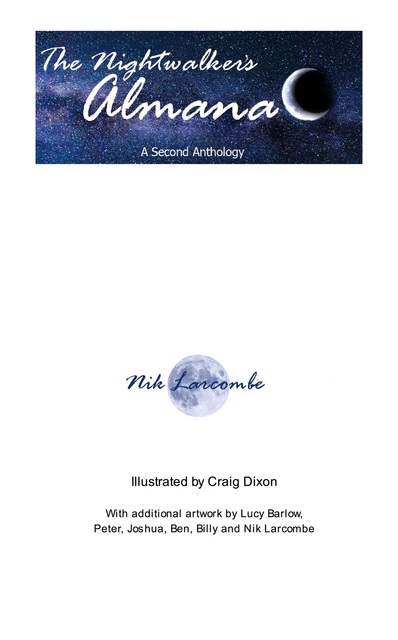 Wander, if you will, through the pages of this second anthology by Nik Larcombe, and sequel to the critically disclaimed 'Book of Free Range Inks.' Here you'll find more reflections on life, love and synthetic grass - many inspired by the anthology's titular night walks. Tributes to the great poets. A cryptic poem solved by clues. Some narratives for the story lover. At the very least, a handy coaster for your latte. Versión ebook de composición fija, 260 págs.